This page contains information and resources for professional researchers interested in LIGO science. Click on a topic listed above to learn more. If you are interested in joining the LIGO Scientific Collaboration, please read the About page for instructions how to apply. 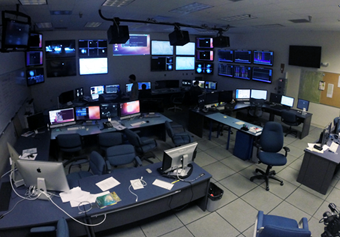 The control room of the LIGO Observatory in Livingston, Louisiana. Credit: Joe Chilcott, Over the Sun, LLC.